Are Those Store Credit Cards Ever a Good Idea? “If you open a credit card with us today, you’ll save 20 percent off the entire purchase and earn triple points on your purchase.” Whether you're shopping for clothes or shoes or auto parts, the offer sounds tempting, right? That’s probably why the average credit card holder had 1.55 retail credit cards in 2015 — and the number is on the rise, according to Experian. Retail credit cards always seem like a great deal — an immediate discount on something you’re already buying, plus maybe a rewards program. And if we only listened to our short-term brains every time we waited in line at the checkout counter, we’d probably all have wallets full of them. 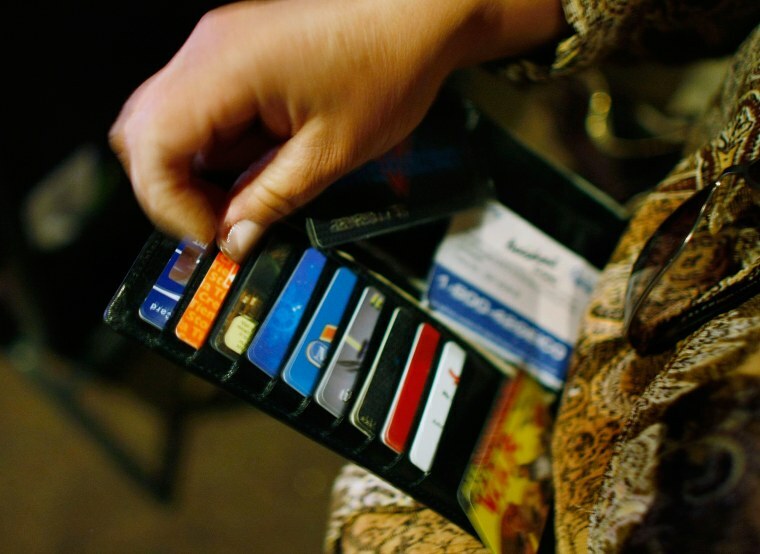 But when it comes to retail credit cards, there are many reasons to steer clear. Here are a few of the red flags (and why you need to read the fine print). Plus, when it does make sense to consider a retail card. “You have to go into this thinking that you are not going to carry a balance,” says Beverly Harzog, credit card expert and author of The Debt Escape Plan. She’s right — if you don’t pay off your balance in full every month, any discounts or deals you scoop up will almost be trounced by interest charges. The average interest rates on retail credit cards — around 24 or 25 percent — are much higher than those of standard credit cards at about 16 percent. Bottom line: Carrying a balance is a lot more expensive than it has to be. Deferred interest is a huge reason to make sure "you understand the details of that promotional offer,” says Matt Schulz, senior industry analyst at CreditCards.com. When you see a large sign above a store cashier advertising “special financing” or “no interest for 12 months if paid in full,” it’s easy to get roped in — and retailers push these cards extra hard around the holidays. Here’s what they tell you: If you pay the card off before the promotional period is over, you won’t pay any interest at all. Here’s what they don’t tell you: For many of these cards, if you don’t pay off the full balance by the end of the promotional period — even if you have just a few dollars left — you’ll be responsible for paying full interest on the original purchase price. Let’s say you bought an $800 television, and at the end of the six-month promotional period, you had $20 left to pay off. Since deferred interest starts accruing from the moment of purchase, you’d have to pay full interest on that $800 since date of purchase, says Jill Gonzalez, senior analyst at WalletHub. Watch out for this with cards from Apple, Amazon, many online brands and even PayPal (the site has a deferred interest “Bill Me Later” option). Credit limits on retail cards aren’t usually very high, and that may not be good for your credit life. To avoid dings to your credit score, it’s a good idea to keep your credit utilization ratio below 30 percent — ideally 10 percent — of your available credit. The problem is that many retailers approve new card clients in-store, then tell those new cardholders to wait to receive the remaining information (including their credit limit). If you’re trying to scoop up that first-time card purchase discount, you could unknowingly spend 50 or 60 percent of your new credit limit. That would likely have some effect on the rest of your credit report, says Gonzalez. Instead of taking the risk, ask if you can defer your first-time purchase discount until you know your credit limit. If not, consider opting for a retail card that allows you to use your discount within the first 90 days or so. What happens if your favorite retailer closes down, and you can't monetize your rewards you've earned? In most cases, store credit card portfolios aren't owned by the retail stores themselves — they're owned by outside companies or issuing banks. So if the store your retail credit card is linked to goes bankrupt, you'll still get bills for the remaining balance after the store closes — and if you don't pay it off, the account will go into collections and mean a significant credit score hit. So keep paying down the bill, then watch out for notices of when your account will be closed. The good news: After a store goes bankrupt, and the creditor closes the store card account, your credit report will say "closed by creditor" instead of "closed by consumer," says Sienna Kossman, spokesperson for CreditCards.com. That reflects more positively on your credit history. In some cases, a retail credit card can save you money. The first question to ask yourself: Am I going to pay off my balance in full every single month? And then: Do I know that for sure? Once you’ve passed that test, it might be worth getting a retail card for a store you shop at routinely — especially if you’re purchasing bigger-ticket items. Some cards primarily offer an initial bonus (like a one-time 20 percent discount), and some offer ongoing bonuses (like 5 percent cash back on all purchases). Sites like CreditCards.com and WalletHub can help you compare. Keep yourself in check spending-wise by only allowing yourself to buy things you needed to purchase anyway, and work from a list — especially if and when you get emails about sales or special rewards. If you’re relatively new to credit and trying to build up your profile, retail cards can be a viable option. It’s difficult to get approved for one as your very first credit card, but they tend to have less stringent eligibility requirements than most cards — so if you’ve had a credit card for a few months or are an authorized user on your parent’s, it’s worth considering. Just remember: If you spend more than planned and can't pay it off in full, you could be paying the piper for months — or years — to come.